The world of watchmaking in 2018 witnessed a trend of recreating and marking historic dates, people and relics through timepieces. As watchmakers grace through decades of heritage, they play witness to some of history’s most iconic and significant events and embellish its influence into timepieces. 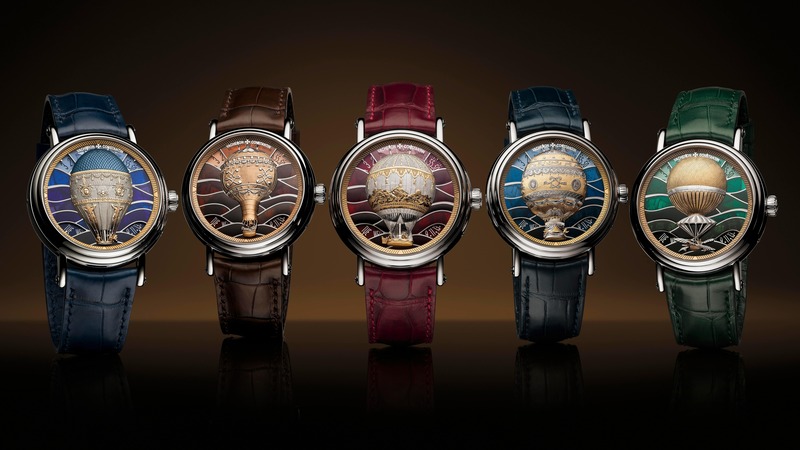 Moreover, timepieces like ‘Spirit of la Santa Muerte’ and ‘Spirit of the Chinese Zodiac’ by Chopard also strive to celebrate rich cultures from around the globe. 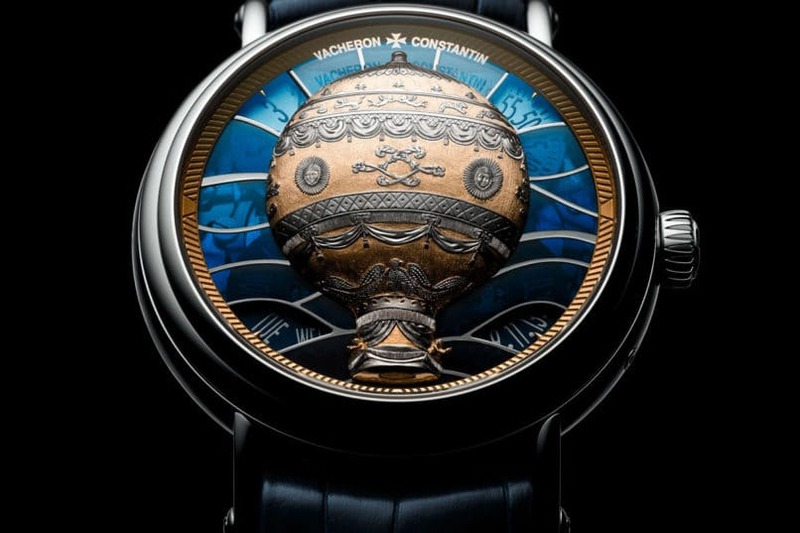 Vacheron Constantin turn heads today as they unveil their Les Aérostiers series with five delicately-crafted timepieces to its range boasting humanities first stride to the skies. 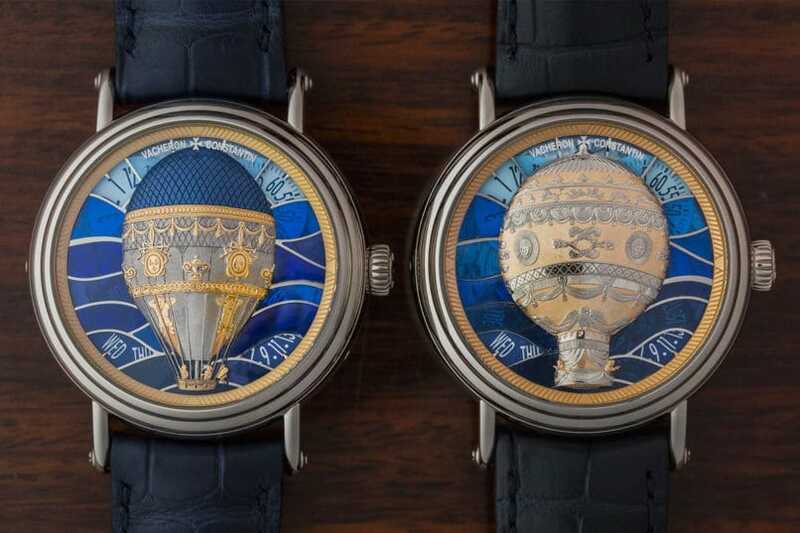 A series that could potentially be at the forefront of Vacheron Constantin’s Metiers D’art line-up was built around a very unusual motif: the early history of hot air ballooning, which was pioneered in France in the second half of the 18th century. The “aerostat” inspired timepieces set itself at par from other conventional watches by simply replacing its hands with windows to tell time. With windows placed on both sides of its 12 o’clock and 6 o’clock mark, the dial’s main component is ornate balloon that took 3 weeks to engrave and set. The upper –left dial features hours and the upper-right window features minutes, the lower right window is a date window and the lower left tells you which day it is. 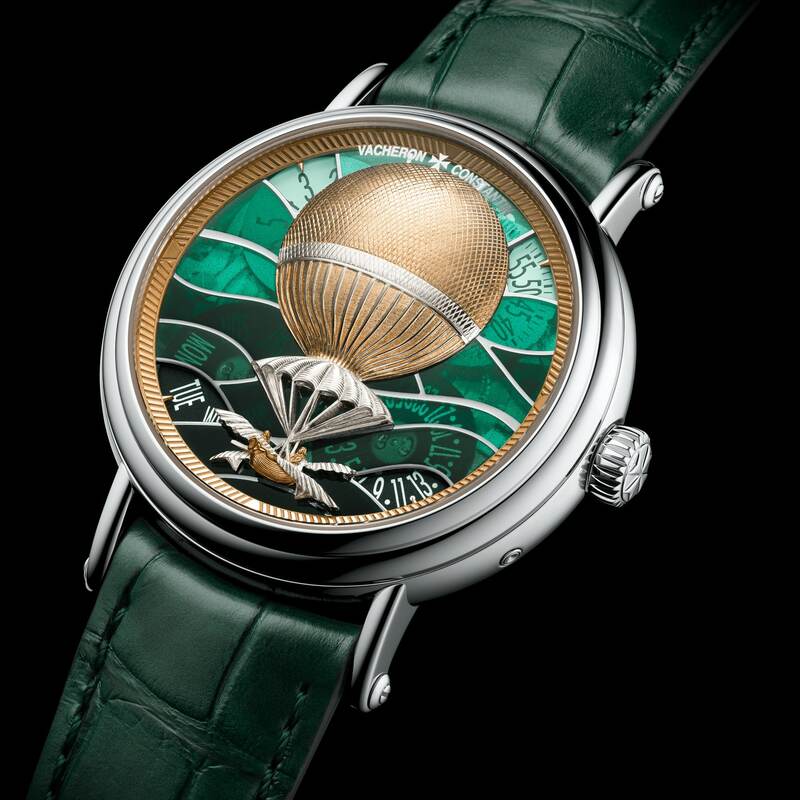 The rest of the dial comprises of an abstract wavy design that is meant to represent clouds surrounding the air balloon. The timepiece is simply a beacon of luxury craftsmanship and cultural heritage marking an event in 1783 about the first flight taken by man. The skill of ballooning was a rave in the 18th century as human’s strived to explore the unexplored skies. To be precise, these are the models featured on the 5 models: Paris 1783, Paris 1784, Versailles 1783, Bordeaux 1784, and Bagnols 1785. Running purely automatic, the timepiece stays up for 40 hours on its power reserve. Studded with 18K gold on its case, crown and dial, the strap buckle gets a gold make too. 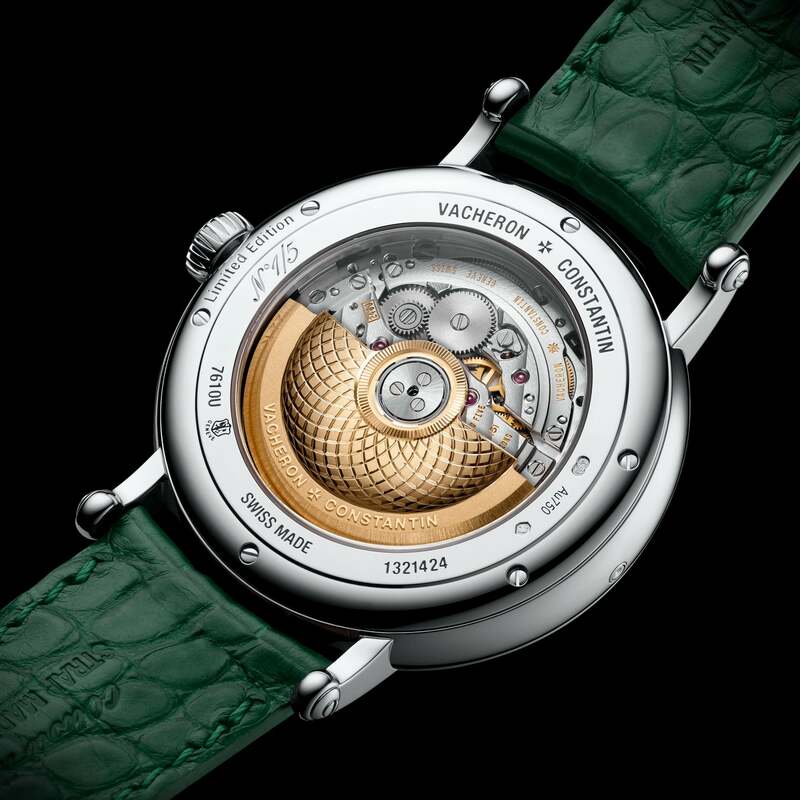 All of its 237 parts are powered by a calibre 2460 G4/1, exclusively built by Vacheron Constantin for this capsule. The case back leaves its elegant and gold finished 31mm mechanism on display. However, all this skill and craftsmanship comes at a price, the capsule is currently available for pre-order with a starting price of $135,000. Vacheron Constantin are to showcase this at 2018-19’s Chanel Metiers D’art alongside its exquisite line-up of timepieces.